The recent water protection directive from the president is a victory for nature, yet beneath the lines, illegal fishing is still alive on Lake Victoria and exports are fast falling. Government is thus at the mercy of a secret illegal fishing machinery and losing the battle. Who is behind the forces of evil on lake Victoria? It is the 19th of September; business as usual at Parliament. Yet, today’s plenary session feels quite unusual . Mean looking and disgruntled faces drawn from MPs from constituencies of fishing communities. The UPDF Marine is their cause of worry. MPs inform Kadaga that UPDF is torturing fishermen and burning their boats. Shocked, speaker Rebecca Kadaga suspends the house, pending an explanation from ministry of defense on the alleged torture of fishermen by the army. A week later, Deputy Speaker Jacob Oulanyah ordered the Agriculture committee to investigate the alleged torture. 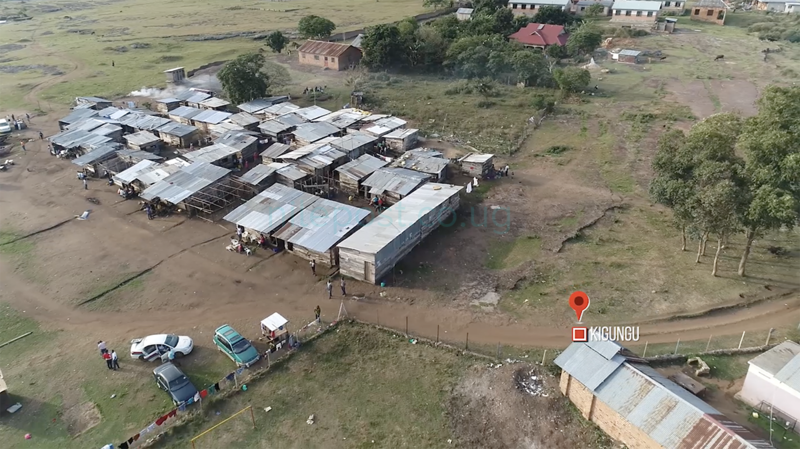 One of the landing sites at the centre of dispute is Bugonga landing site in Entebbe, Wakiso district. Here is where I find a heap of fishing nets, hooks and boats waiting to be burnt to ash. 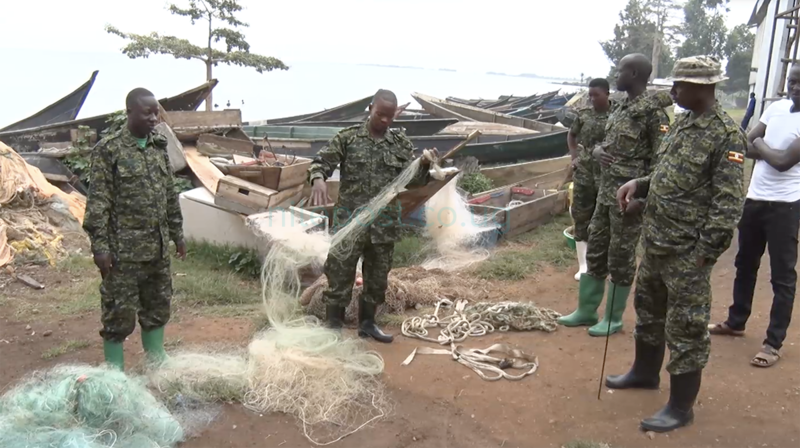 Lt. Col. James Nuwagaba, who was directly appointed by President Museveni to fight illegal fishing on Lake Victoria, heads the UPDF marine operations. Col. Nuwagaba and his team allegedly arrest culprits, burn their boats and fishing nets deemed unfit to meet the required standards. The UPDF is chest thumping however, proud of its operations on the lake since launching their operations, a year ago. I move to another landing site on Lake Victoria- Kiggungu 2. Here, the mood is defiant. The community here is highly charged and outspoken against UPDF treatment. “When you do not have any fish, they don’t bother you. When you have a big catch, they’ll frustrate you and take your fish. We’ve now left the lake to the UPDF, ” Muhwezi Williams Ssalongo, a fisherman said. “They sabotaged my work on the lake, yet fishing was the only source of income for my children’s fees, ” another fisher man told Nile post. This is the community of fishermen and women whose fishing behavior is disputed. In response the UPDF Fisheries Protection Unit has been evicting and resettling these community from one landing site to another. Kiggungu 2 landing site hence curved its self as a safe haven for this fishing community. “All these lakes you see, had been infested by all categories of people including foreigners,” Lt. Col. James Nuwagaba, the UPDF Fisheries Operations Unit Chief said. The community and its practices are flourishing , and UPDF is just playing catch up. To gain ground on evil practises, the President sanctioned the UPDF operations and the amendment of the law, to allow imprisonment of those in breach of fishing laws up to 7 years. The effects of unkind fishing practices has been dire to the creatures, and the community. 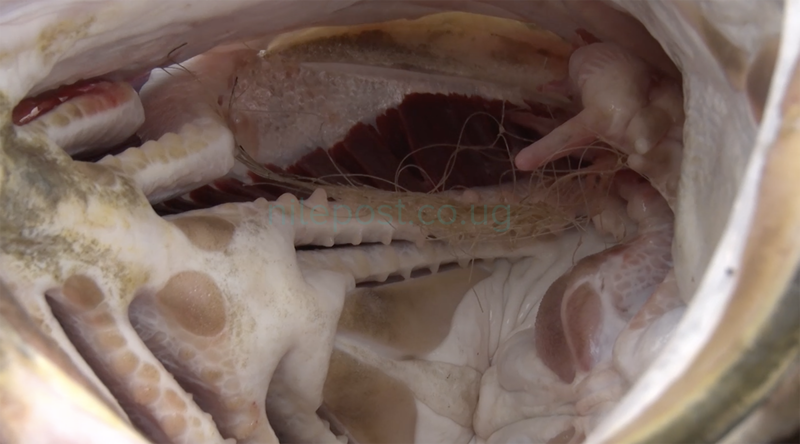 According to the National Fisheries Resources Research Institute catch assessment survey; Nile Perch declined by 46 per cent between 2011 and 2015, while tilapia catches were lower by 38 per cent during the same period. Uganda’s fish export income declined from $ 141 Million in 2006 to $ 118 million in 2015, indicating a loss of about 87 trillion shillings, the survey also reveals that 13 fish factories closed last year due to scarcity, resulting into a loss of 500 jobs. This one goes for about six hundred thousand shillings. 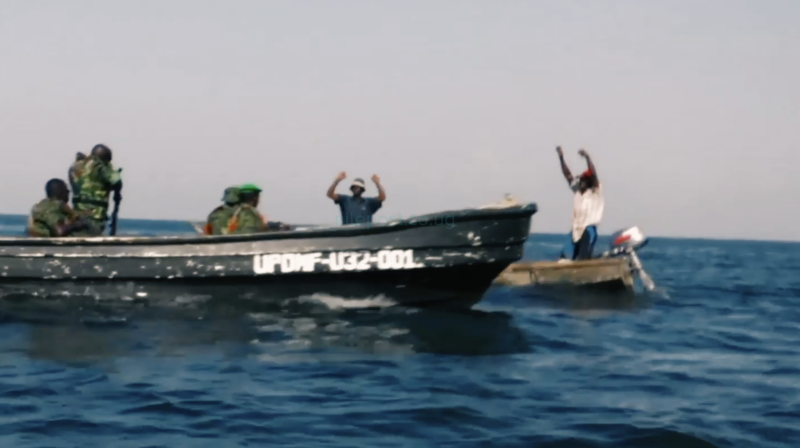 While the fishermen are still excited about their catch, the locals learn, their prey would have gone for a much higher price, but there is a difficulty that brings the price down. This is because an illegal net was used to trap it while it was young, and unfortunately got into its gills and tore them apart. The net is still visible. This net is known as monofilament. It is a Chinese export that is fancied by Ugandan fishermen. Thousands of monofilament have been confiscated here and burnt. A ban was imposed on such nets because of the risk it poses on the life and number of the fish in the lake. yet the monofilament continues to surface on the lake. We ask, how does it get here? Fishermen open up to me- monofilament is available on the market. Downtown Kampala is a hub for customers. I walk around looking for monofilament. It is clear the sale of monofilament is done secretly and the customers are known. I was lucky to be among . At a cost of only 10,000 shs, a community of fishermen is fishing illegally, at the cost of billions in government revenue. How these nets cross borders and end up on Ugandan waters is puzzling. “Ugandans are not allowed to import them here, they go to DRC and bring them back here through ungazetted roots and that is how we find them on the market, ” Vincent Seruma the Head of Public and Cooperate Affairs at Uganda Revenue Authority stressed. The Uganda National Bureau of Standards, a body that is mandated to ensure standards of all goods on the market, points to the porous borders. “They are smuggled in through porous borders and they find their way on to the market, ” Bridget Atuhaire, the Acting Manager, Imports Inspection at UNBS said. The standards body is now stuck. Uganda Revenue Authority is stuck too. So does this mean the operations on the lake are all in vain? “The smugglers will bring them in and will show them to the people that need them, so that is how we are stuck with the problem,” Bridget added. The Agriculture Minister believes the people involved in the purchase of these illegal nets are well to do and thus fueling the smuggling. “It is not done by poor people, it is by rich people who know, and do not need any sensitization, they need to face the law, ” Vincent Ssempijja told the Nile Post. Illegal nets are not the sole headache. The UPDF takes me through other methods of illegal fishing. A common trick is using a stick with a metallic end, hit on the rock to scare away fish and then later ends up being trapped in a net. Since the UPDF operations begun, some of the factories that had closed shop have since resumed production, giving a sigh of relief to fishermen. In fact, some landing sites in Entebbe have resumed business. “I could spend about a week without getting a big catch, but these days I even catch a fish worth 25 kgs in a day,” Ayub Kyakulaga, a fisherman said. While the response by the UPDF marine officers is applauded, some fishermen are troubled by conduct of their operations. “They brought someone who does not understand fishing, that soldier called Nuwagaba doesn’t deserve to be on the lake,” one fisherman said. “People are talking about destruction of boats, we shall continue to do that, it is within the law. Before we confiscate boats because we always measure there and then, but as illegal fishermen, they will not fail to have excuses, ” James Nuwagaba said. Following the continued patrols on the lake, fishermen claim an increase in volumes of fish produced. The yet to be answered question is ‘Does the country have the capacity to produce enough quality nets to meet the demands of fishermen ? Kilometers away from the capital Kampala, is fishnet manufacturers, in Luzira a company that has since 1964 been producing 1.2 Million locally nets per year. 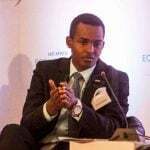 “We currently boast 1.2 million nets per year, meaning we can supply over 60 nets, feeding 200,000 boats per year, ” Nitin Survana, General Manager Uganda Fishnets Ltd told Nile Post. Close watch on the specific number of boats on the lake has now been made easier through the introduction of boat number plates. Back in Parliament, fishermen up to now think the Speaker Kadaga was misled by MPs whose interests they consider selfish. They also think MPs defending illegal fishing are worried about their votes in the constituencies other than the lake. “They have over politicized the operation, but for them they think about themselves not the country, I don’t know how they think, ” Lt. Col. James Nuwagaba stressed. As the dispute between the water and its mates continues, The end game is still unclear. The motive for many is nature and its proud survival.